Manufacturers are going through a tremendous change – from companies that must excel in design and manufacturing and throughout their operations to companies that must excel in the way they use technology at the same time. You can see this in our IDC FutureScape: Worldwide Manufacturing 2017 Predictions, which identify key areas where business and technology must intersect in 2017 and beyond. Technology is reshaping the relationship between business and IT. Manufacturers want to work smarter using digital technologies in their products and processes and throughout the value chain. But digital transformation – using new technologies to create new ways of operating and growing the business – is much more than just working smarter and more efficiently. Even now, manufacturers that are able to apply new technologies to pull away from the pack experiencing double-digit growth in productivity, market share, and revenue, while others are flat or declining. In addition to digital transformation, key themes woven into our worldwide manufacturing top 10 predictions for 2017 include the need for new ways of innovating, more integrated IT and operational technology (OT), business security, and rethinking the future of work. While the predictions largely focus on 2017–2020, the impact of many of these will be felt for years to come. We believe that business leaders who successfully apply digital technologies to their industry, customers, partners, suppliers, and business practices stand to gain substantial advantages over their competitors. Manufacturers are rethinking and reimagining products, services, and processes. 3rd Platform technologies (cloud, big data / analytics, mobile, social) and innovation accelerators (3d printing, robotics, IoT, next gen security, cognitive computing, and augmented / virtual reality) are essential to supporting these changes. But manufacturers must continue to innovate and create value from their tech investments to solve business challenges and enable new revenue streams. The coming years will greatly alter the technology landscape for business functions in the manufacturing industry. Establish your starting point by evaluating your relative maturity in the adoption of 3rd Platform technologies and, more importantly, your ability to translate those technologies into business value and digital transformation. Ensure that IT and line of business are collaborating as true partners in the selection and implementation of new technology. Cultivate your IT talent. As manufacturers ramp up their investment in 3rd Platform technologies, we’ve already seen manufacturers adapt their enterprise architecture, IT service delivery, IT innovation, and even software development. Make sure your IT organization is ready to maximize the value from those investments. Look to your employees, suppliers, and customers for innovative ideas for the use of new technology and best practices in terms of implementation and use. Work with small and large partners to accelerate your IT capabilities and serve the line of business. External resources and expertise can help you move quickly and effectively, which is essential in today’s global marketplace. As a research vice president, Kimberly Knickle is responsible for research and analysis of business and IT issues for manufacturers. She leads the IT Priorities & Strategies program, which focuses on hot topics that are changing the way manufacturers buy and use IT, such as big data and analytics, cloud, IoT, mobility, social, and sustainability. The program also includes research based on IDC survey data related to manufacturers’ IT investment priorities and plans. Knickle also manages the Product Innovation, Service Innovation, and Connected Products research. 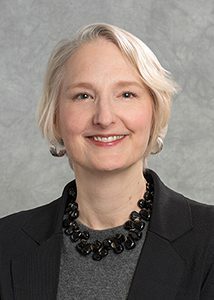 Ms. Knickle contributes regularly to the IDC Manufacturing Insights Community (https://idc-community.com/manufacturing) and tweets (@kimknickle) about business issues relevant to manufacturers.